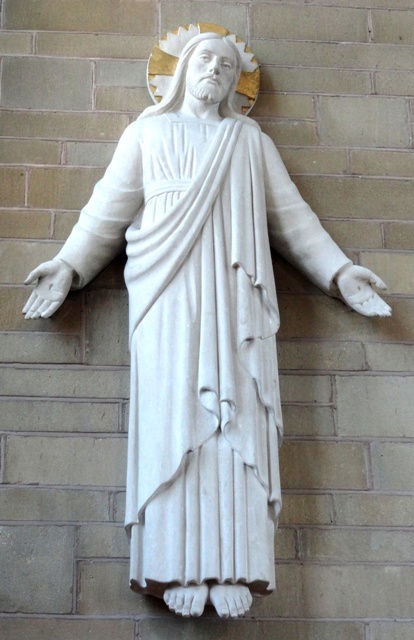 Mass was first celebrated in the Charlton Kings district of Cheltenham when in 1939 the sisters of La Sainte Union opened a boarding school and convent at Charlton Park. With the outbreak of war, evacuees expanded the congregation, and Mass was transferred to the school hall. The mission was then served by Benedictines from St Gregory’s. 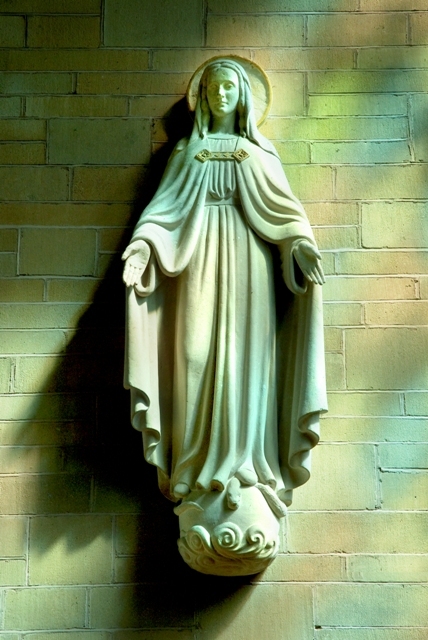 In 1947 the parish of the Sacred Hearts of Jesus and Mary was created and land acquired for a church. church was blessed and opened on 30 June 1957 and consecrated by Bishop Mervyn Alexander on 15 October 1982. Today Sacred Hearts parish community consists of nearly 1,600 parishioners and over 800 families. We have over 40 parish groups and a popular summer fete on the second Saturday of June, along with other activities and events year-round. Supporting these activities, we have a large Parish Hall and an active, first-rate Squash Club, which are used by the parish and the wider community. Source: extract from ‘The Diocese of Clifton 1850 – 2000′ by Rev Dr J A Harding the Diocesan Archivist.